A good movie draws me in. I soon forget I’m sitting in a large hall surrounded by strangers. I forget I’m looking at a flat surface from which millions of tiny mirrors are reflecting back the colored light from a projector. I grimace and laugh at the predicaments of the characters with whom I am identifying or I ooh and aah at the startlingly close scenes of iconic animals and their remarkable behavior. When I go to an iMax theater the experience of an alternate reality is especially intense. I occasionally get a visual scotoma https://en.wikipedia.org/wiki/Scotoma. 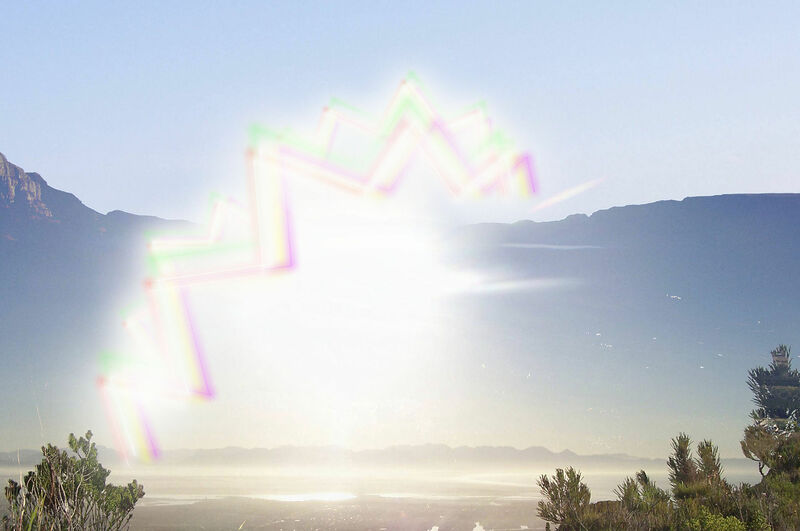 When I do I notice a flickering arc of sparkles overlaying part of my vision. I can’t look at it directly; if I try, the shimmering rainbow moves so as to remain in the same part of my visual field, always a bit off to one side. Closing one eye or the other makes no difference. I know neither the movie nor the flickering rainbow is “real”. If I reach out to touch the scotoma I feel nothing. It is well established that the scotoma is originating not in my eyes or in the nerve fibers that transmit the series of blips from individual light receptors in my retina. Instead it originates in the part of my brain where these digital sequences are being reassembled into a visual image and relayed to my consciousness. Most of the time, I take for granted that what I see is exactly what is out there, plain and simple. But the scotoma makes me reconsider. Here is what I mean. Right now I am looking at the surface of my desk: brown wood with sheets of white paper here and there; a shiny metallic pencil sharpener, some pencils, my computer screen with its flashing cursor and below it some black shiny keys on which are printed white letters and numbers. From past experience I know there is no arc of flashing lights on my desk but it certainly looks to me as though it is there on the surface now. That part of my brain reconstructing those blips is temporarily malfunctioning. It is creating its own version of what I am seeing. Then I imagine that I am a dolphin. If I were a dolphin, that scotoma might still be there – but this time it would be a stuttering arc superimposed over a somewhat different reality. That reality would almost certainly not be the product of visual inputs. Rather it would be assembled from the rich series of blips coming back to my brain from my acutely sensitive acoustic machinery as it picked up the returning echoes of the clicks I was sending out. Instead of a brown grain-patterned desk surface my dolphin brain would be reconstructing a medium hard, ever-so-slightly-rough flat surface, though the edges and general shape would still be that of the desk I am working at. The sheets of paper scattered about would be there but probably perceived as rectangles with a slightly smoother texture than the desktop itself. That metal pencil sharpener would probably be very “bright” and the pink pencil eraser tip – soft echo-damping rubber that it is – would probably be just a smudge. The white letters of my computer keyboard would be indistinguishable, echo-wise, from each hard plastic computer key on which it is printed – unless, of course, they were embossed there as well. But there would be more to it. Depending on the strength of my clicks and the sensitivity of my receiving apparatus I might even perceive a second layer of objects – the stuff in the top drawer beneath the desktop. By assembling a second fainter series of returning echoes which vibrated their way back and forth through the desktop and created a sound silhouette of the rulers, stapler, paper clips and cough drops I keep in the underlying drawer, my dolphin consciousness would be “seeing” – or rather “hearing”- through the desk surface much as we see through a window. Of course the distant scene my human self looks at through that completely echo-opaque pane of glass, to my dolphin self, would be invisible. And then there are bats. Probably the same deal as dolphins. After all, they fly around at high speed in total darkness and zero in on thousands of mosquito-sized insects nightly. And what about the moles chasing earthworms and grubs under our lawn. What does their underground landscape “look” like. And how would my desktop and computer “appear” to the mole after it had snuffled all over my desk and sniffed its entire surface in order to “see” it. Any observant dog owner knows that the sensory input of greatest meaning to their pet is not the incoming photons reflected off the surface of things, or the sounds it is hearing but the molecular traces of organic compounds wafting in the rivers of air through which it runs. Some years ago, my wife and I were walking along the edge of a pond near our house with Mocha, our sweet labrador retriever. About ten yards ahead we watched a sinuous brown mink emerge from the pond, run humpy inch-worm style across the path and disappear on the other side – all well out Mocha’s line of sight since she’d fallen a bit behind – probably sniffing the water’s edge for dead frogs she could roll in. Shortly, she came bounding forward at full speed to regain her traditional position as pack leader. Then, running pell-mell ahead of us, mid stride she appeared to hit a brick wall. Head buckling under her front legs she did a full somersault – right where the mink had crossed the path moments earlier. Like the act of throwing up one’s hands in response to an object flying fast at one’s face, that scent had triggered a set of reflexes just as powerful in Mocha. After taking a moment to get a sense of where she had ended up, she bounded into the brush over the precise path the mink had followed. It certainly looked as if that scent had instantaneously constructed in Mocha’s mind a useful version of the reality surrounding us, and one, incidentally, of which we humans were entirely unaware. After I began thinking this way I found myself playing this mind game now and then. I wonder what Helen Keller’s mind-map “looked like” to her. Was it an exclusively tactile representation of her surroundings similar to the one the blind heroine of Anthony Doerr’s wonderful novel, All the Light We Cannot See https://www.nytimes.com/2014/05/11/books/review/all-the-light-we-cannot-see-by-anthony-doerr.html, gets from retracing with her finger the scale model of her town crafted by her father? So let’s take this one step further. Most of us are familiar with those eerie recordings of whale sounds. The deep rumbles and songlike bleeps that carry long distances under water and are presumed to be whale communication. In the past, when I’ve thought about this, I’ve imagined that what was going on was some sort of message or, if whales are as sophisticated as some believe, a kind of wordy symbolic language. But if you are willing to imagine that a dolphin or a bat may be reconstructing a three dimensional landscape from returning echoes, what if those whales are actually sending out sounds from which the recipient whales’ brains immediately construct some sort of real-time landscape. Maybe the pitch and timbre of those deep booms paint a picture of the blue green seascape through which the whale is diving, and those bleeps become, in the recipient whales consciousness, a school of soft tasty squid – the whole forming a virtual copy of the sending whale’s version of reality in the recipient’s consciousness. Wouldn’t that be something! It’s not beyond the realm of possibility, if you think about it. If a series of blips from our retina can reconstruct a sweeping visual landscape, if a sequence of four base pairs can recreate an entire organism, if a series of zeros and ones can create in our headset a 360 degree visual “virtual reality” why can’t those booms and bleeps transmit a whole non-visual but equally “real” reality in a whale’s brain. Instead of trying to figure out what whales are “saying” to one another in words perhaps we should try to decode their communications into a wordless but perhaps even more meaningful representation of what is going on in the sending whale’s consciousness. As I’ve reread the drafts of this piece, I’ve grown increasingly self-conscious of the number of times I’ve put words in quotes. Usually when I read something peppered with this kind of punctuation I find it offputting and wish the writer had just said what they meant. But when I try – as I have – to avoid using quotes in this essay it weakens my intended meaning. Words like “appear”, “visible”, “bright”, etc do not have full equivalences for mentally reconstructing a non-visually dominated world. I am also becoming increasingly aware of how our sensory hierarchy shapes our language and how both shape our “view” of the world – points more deeply explored in David Lukas’s interesting book, Language Making Nature http://www.humansandnature.org/creating-language-that-re-connects-us-with-nature. But back to the movies. I do my best to avoid the ones with a typical formulaic series of tropes – couple find each other, fall in love, meet danger, undertake heroic and risky acts, save one another etc. But sometimes I make mistakes and find myself bored and distracted. That’s when my dolphin self takes over and I find myself looking at a huge blank monoechoic screen. Then my attention lurches elsewhere. All around me sit perfect strangers, many of them quite lovely. The distracting thing is that their clothing transmits echoes very well. At that point the details of the reality surrounding me becomes much more compelling than any Hollywood drama. Sometimes things just come together. The other evening, as I was savoring one of my wife’s delicious butter cookies, a setting sun illuminated the west face of the hill to our east with a pink pastel wash. At that moment Vermont Public Radio filled the air with the first notes of Ravel’s String Quartet in F major and, simultaneously, our night blooming cereus decided to open the blossom it had been working on for the past week or so, immersing me in its ambrosial scent. Ecstasy! Had it not been for the fact that my five senses were all aquiver, I would say that the experience almost knocked me senseless. It got me thinking. Each of those senses bring me but a sample of the reality which surrounds me. Chemical analyses of the air I inhale and the stuff I put in my mouth. Mental reconstructions of the wavelengths of light bouncing off my surroundings. Same thing for the vibrations in the atmosphere around me. But mind you it is just a sampling. There is so much more to it than that! 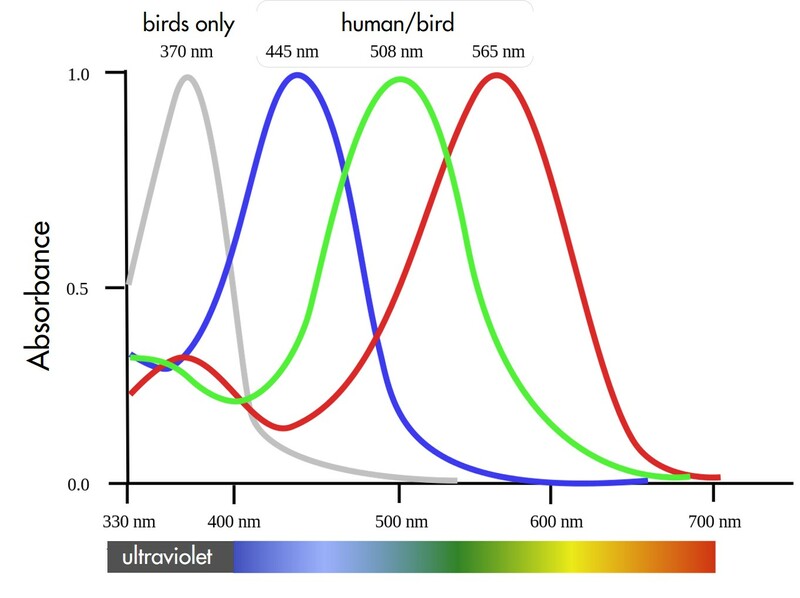 For example, I don’t see the ultraviolet that guides hummingbirds to nectar sources. http://blog.nature.org/science/2015/08/17/field-guide-wrong-birds-eye-view-world-color-vision/ My infrared camera can tell where heat is escaping from around my windows but I can’t. My friend’s dog’s nose can tell which way the woodcock that recently crossed in front of us was going when I don’t even know there is one in the vicinity. http://www.pbs.org/wgbh/nova/nature/dogs-sense-of-smell.html And what about those fish that can sense electromagnetic fields radiating from prey buried in the mud? http://www.pelagic.org/overview/articles/sixsense.html Just because we now know birds and dogs and fish have this expanded awareness doesn’t mean there isn’t even a lot more going on that we don’t have a hint of. Before going any further, let’s recognize that the word “reality” has its problems. For most of us, “reality” is the way we reconstruct our surrounding environment from the data gathered directly but there are some inadequacies in that concept. We know now that there are some very “real” qualities in the world around us that escape us entirely. We know they exist only through indirect evidence. Radio waves and x-rays are in the same boat. To a red-green colorblind person, so are those colors. So from now on, in an attempt to disambiguate, I am going to use “reality” to mean the world as we perceive it directly through our senses and the phrase “all of creation” to mean all of the qualities of our surroundings – our full context – whether or not our senses sample them. While I was eating that cookie, and experiencing all that other wonderful stuff, my mind wasn’t really focused on the cookie,the hillside, the music or the scent. It was immersed in the whole integrated experience. And that’s the way things go most of the time. When I fell a tree, its crashing to the ground has both a visual and an auditory component which I experience as a single event. The experience of a nearby lightening strike when the flash and boom are simultaneous is forceful and immediate and visceral. When I regain my wits I have an impressive concept of a lightning bolt. Our senses are sampling the image of the tree falling and the sound of the crash: they register the photons released by the electrical discharge and the atmospheric tsunami of the air around the bolt. Suppose we were endowed with those electrosensing organs that are believed to exist in sharks. Wouldn’t we have an even more intense understanding and appreciation of a lightning strike? Some years ago we raised a few beef for our own consumption. They had their priorities. Food. Tender green shoots if possible. Hay was satisfactory. Molasses-laced grain was heaven. When they weren’t resting, their noses were buried in the field unless they heard the grain bucket rattle. Then they came on the run. Their world was defined by the pasture’s fence but that didn’t matter as long as there was enough grass and a bit of grain now and then. Getting to know those cows and thinking about their lives raises some provocative questions. Might our own lives be similarly constrained, though on a larger scale? After all, cows and we are both on the same evolutionary tree – way out on the branch labelled “mammals” though on slightly different twigs. Their survival pressures got them horns, lots of muscle and the ability to meet their nutritional needs with grass. Ours got us this big brain and some pretty complicated connections within it. (There probably is a lot more to it than that for us children of Adam and Eve but that’s a matter for another essay.) For now, let’s just imagine that our world view, though a good deal richer than those cows’, also has its limits, cutting us off from what is actually out there with as grand a chasm as the one that exists between their grain bucket and my listening to a Ravel quartet. What if those limits didn’t exist? Imagine our current senses expanded in range so we could hear the rumblings of the subsonic vocalizations of elephants and the superhigh squeaks of bats. Toss in an ability to see well out on both the ultraviolet and infrared light spectra. Now add in those non-human senses found in other creatures – electromagnetism in sharks, remote vibrations in other fish. Let your imagination really run wild – Dr Seuss style. Imagine us with the ability to sense weakness in tilting structures (“swooerp”), tension in a bent tectonic plate(“vroing”), the moods of others (“sympativity”) – that kind of thing. Suppose when we entered a room we could perceive the intensity of the social connectedness between the people present (“cadbuster”). Imagine a couple entering a crowded room and one of them perceiving a powerful connection between her apparently faithful spouse and another woman that neither supposedly knew? And finally, give us the mental integrating power to resolve all that into a single awareness of the creation we presently inhabit. Why bother with this odd exercise? Well, first off, who can argue with the idea of appreciating how much more miraculous all of creation is than what our current restricted senses can take in and our mind can reconstruct? More importantly, complicated issues written off with glib explanations can cause a heap of trouble. Charles Darwin, in his introduction to The Descent of Man, cautions that “Ignorance more frequently begets confidence than does knowledge.” Those early Mayans, confident that droughts were the result of angry gods demanding sacrifices, caused a lot of suffering. The conviction that dying as a martyr in jihad guarantees an afterlife enriched by scores of devoted virgins has wreaked plenty of havoc. And clearly, believing that everything will be fine if we just put our faith in the invisible hand of the marketplace has caused its share of suffering too. Though humbling, sometimes it is much preferable to admit one’s profound ignorance than to act confidently on the basis of flawed superficial beliefs. For me, it is just as misguided to be confident that the bible or the quran is God’s truth as it is to be confident that everything – even our sense of self – can be explained by the current laws of physics and chemistry. The creation we inhabit is incredibly rich; no doubt far richer than we can ever imagine. Through painstaking observation, unforgiving peer review and many corrections along the way the scientific method has helped us delve a bit deeper into understanding our universe and our place in it. But I suspect we have only scratched the surface. Newton’s and Einstein’s laws are pretty amazing but I bet there are many – perhaps even an infinite number – of others waiting to be discovered. And some may even be undiscoverable but operative nonetheless! Direct experiences, like those butter cookies or the scent of a night blooming cereus are one thing. Why we are here, how we should live and what happens to us after we are no longer, well those are tough ones. No doubt the possibilities exceed our imaginations.